I went on further to suggest that I did a little bit of a ‘bait and switch’. I even posed a question to myself: “is what I did appropriate?” My idea was to draw people in with a topic intended to create some conversation, but was it really a marketing message in disguise? – not a very Social thing to do. The post was prompted by a question posed by Bob Thompson, the CEO of CustomerThink. The question is: “Can you do Social CRM without Social Media/Networks?” In order to answer that question, first the question of what determines if an interaction is a Social interaction needs to be answered. Is every Interaction a Social Interaction? Phil went on the discuss the Typology of Social CRM Sociability. I agree with the concept, and even some of the specifics. I would like add a bit to this and state the following, the intent of an interaction speaks much more to the Sociability than the channel used. I can broadcast a commercial on YouTube, do nothing but send spam links on Twitter just as easily as I can pick up the phone or send an email to a group of people – which is Social which is not? 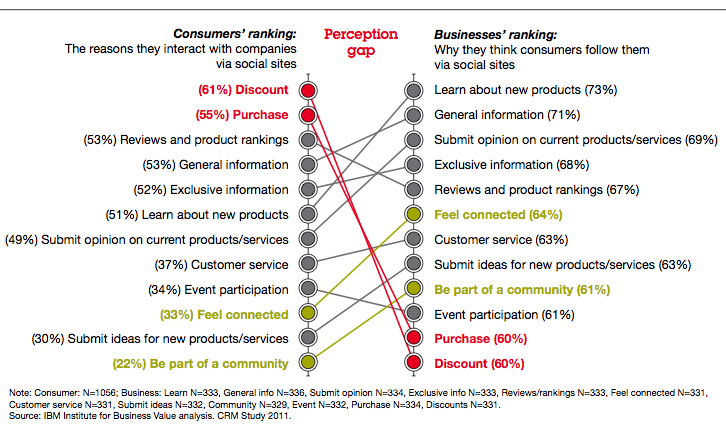 Here are examples of the 6 Degrees of Social Interactions from the Customer perspective. Since this is a continuum, as you progress from 1-6, the characteristics suggest that the customer is becoming a Social Customer. Here are examples of the 6 Degrees of Social Interaction from the Business’s Perspective. Since this is a continuum, as you progress from 1-6, the characteristics suggest that the Business is becoming a Social Business. Is 6 Degrees enough? Probably not, the title sounded cool though. This is analog, not digital. How does this play into Social CRM and answering Bob’s question? Share your thoughts, mine are still gelling and I will share my thoughts in my next post. The short answer is yes, Social CRM can be done without Social Media/Networks, because Social CRM is as much about culture and other soft – but important – change management ideas.